What a great way to display your treasures, photos and other memories! The Floating Shelf includes concealed, easy-to-install mounting hardware to make it appear as though it's floating on the wall--no brackets or hangers to contend with! 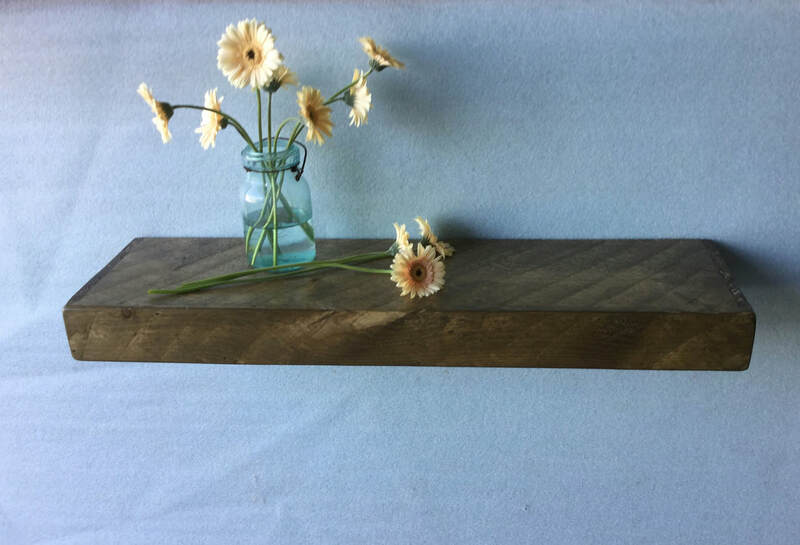 The shelf is available in Hand Planed (aka barnboard look, item #274) for an especially rustic appearance, or in smooth (item #273) which more conducive to painted or Vintage finishes. #274 shown here in Handplaned Stain CC.